Are internal part numbers a better indicator of early Nikon One production order than top plate serial numbers? Possibly! Research on Nikon One internal numbering is just barely starting. Its difficult research because not only are so few early Nikon Ones but also because so few owners have opened up their cameras and shared internally marked numbers. The opinions expressed here are my best guesses based upon the data so far. We need more shared data. We may never be SURE what the internal numbers mean, but searching for the answer makes for fun Nikon collecting! First produced in March 1948, the Nikon One was Nippon Kogaku's first 35mm camera as well as their first rangefinder. Today over a half a century later, the Nikon One is among the most sought after and rarest collectible cameras of any type, not just Nikon. The times were very different when this camera was made. In a heavily bombed and American military occupied post war Japan, it was on this camera Nippon Kogaku management bet the future of their company on, and won. Not knowing if their new camera would be a success or failure, the venerable optical firm of Nippon Kogaku called their new camera "the Nikon." As time went by, the firm was renamed to match the camera. Nikon rangefinder collecting is very popular, second only to Leica collecting. Due to Nikon popularity and many Nikon shooters eventually becoming Nikon collectors, the Nikon One is one of the most sought after of all collectible cameras. Today its easy to imagine the earliest Nikons assembled in a well run factory in a very organized way like today's Nikons. History suggests a very different reality. The early Nikon One cameras seem to be assembled in a very hap-hazard helter skelter way. Nikon One serial numbers started at 6091 and went to about 609759, officially with 24x32 35mm film format. The first 21 cameras are believed to be used for test purposes. By this accounting, number 60952 would be the 31st production Nikon camera, produced in May 1948. Although the numbers would seem to indicate over 750 Nikon One's, it is actually much rarer according to Robert Rotoloni, founder of the Nikon Historical Society. He believes the number of Nikon One's actually delivered is closer to 400, due to 90 Nikon One's not passing quality control, and about 200 unsold One's being converted to the later Nikon M with 24x34 film format. Continued research is showing that some early Nikon One's actually have a 24x31 format - contrary to the official Nikon One specifications! The 24x31 film format is a Nikon One Mystery. But a bigger Nikon One mystery are numbered parts found inside many early Nikon One's. About the first 100 cameras appear very likely to have some internal numbered parts, with later cameras having less parts numbered to about the mid 609300 range - although at least one Nikon M has at least one internally numbered part! Some numbered parts may be visible just by removing the camera back. Other numbered parts are not visible without disassembling the camera. What could these part numbers mean? I believe parts from the 90 or so cameras not passing quality control almost certainly were re-used in later cameras. Over time I look forward to all known Nikon One's and Nikon M's being examined for internal serial numbers - then we will finally get the story right. As more cameras are examined there will be updates. If you own a Nikon One, Nikon M or even Nikon S, please contribute to this research by having a tech disassemble your camera for internal numbers and report back the results! Research on this topic is going very slowly as most owners seem very reluctant to spend the money to have their cameras taken apart and reassembled again for research. Yet the reward is possibly very high. Lurking underneath a later top plate yet to be found may be the parts and body casting of the first Nikon camera, the so called Mother One 60901! Long story short, I believe the answer to the mystery appears to be Nikon One assembly workers numbering internal parts in numerical order starting with camera number 1, which is consistent with the top plate numbers starting at 6091 and going up from there to 60952 or 609350 etc. However workers) numbered different arbitrary camera parts to match the numerical camera order as needed to help with the fitting and assembly. So far so good, until most of the early cameras failed quality control and then had their numbered parts salvaged and re-used in later cameras, creating a numerical mis-match of numbers. More confusion was added by the numbered engraved top plate rarely (if ever) being fitted on the production body that matched it. 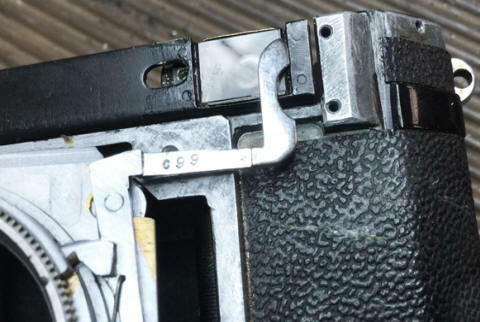 Should an early camera like 60952 be known by the top plate or the production number 23 on its parts - or by both numbers? I think both. I first learned about internal Nikon One parts numbering in 1993 from collectible camera dealer Chuck Duckworth. Chuck noticed mysterious and totally undocumented (in English language Nikon sources) internal numbers visible on camera Nikon One 60926 when the back was removed. 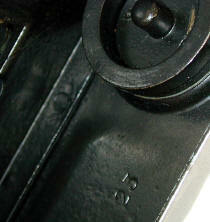 Chuck noticed a "2" engraved in the take up spool area, on the film back, and on the bottom plate of the shutter crate. Alas, as far as I know 60926 was not disassembled on the chance more numbers could be inside. With full disassembly, 60926 might turn out to be the 2nd Nikon prototype 6092 with a 60926 top plate! I found similar but different numbers inside of 60952 when it was overhauled in 2002 - number 23. I published that info on CameraQuest and in the NHS Nikon Historical Society magazine. Nikon One Internal Number research is barely beginning. Out of about 4,400 Nikon One and Nikon M cameras, only a few have been fully disassembled and examined for internal production numbers! What Nikon discoveries await inside of early Nikons? Later Nikon Ones, Nikon M's and perhaps even Nikon S bodies have a chance of having internal numbered parts from recycled Nikon One parts. research is only beginning, the above are guidelines, not rules! 609350 has number 26 on the body casting - probably the most definitive numbering location of the body's production sequence. 60952 has number 23 on the front of the focusing helical mounting plate and on the back of the infinity finger lock Notice the rough filing marks on the body's focusing mount seat. 609350 has number 26 on the upper right corner of the focusing helical mounting plate AND number 99c on the lower front of the same plate! This double numbering could indicate # 26 helical plate was also used in the # 99 camera - which also failed quality control! The parts were finally successfully used in the # 350 camera. Note the very crude hand done finishing inside the back and film chamber. About 90 Nikon Ones (as best as we can figure out) failed quality control and probably ended up as parts donors for other cameras. Materials were far too valuable in post war Tokyo to be thrown away. Discarded parts from failed cameras were reused in later cameras, all or in part, until finally they were used up. Its generally known the first twenty cameras did not pass quality control and were not completed. However the parts were far too valuable to throw away, so their parts were almost certainly reused in production cameras -- a process we can follow with the internal numbers. How long would the learning curve be until a core group of assemblers could quickly turn out cameras? How many cameras would fail quality control due to assembly worker errors? Their only goal is to assemble a camera to pass quality control. That initially turned out to be a big problem as the newly manufactured parts for Nikon's first 35mm camera often did not fit together so well -- resulting in light leaks and other problems. The first twenty test cameras starting with number 6091were disassembled - their parts reused in later cameras. The first 50 production cameras (exact serial numbers unknown but approximately 60921 to 60971 were exported to Hong Kong only to be mostly returned to the factory as defective - a not so great beginning for the Nikon One! Imagine a group of unskilled work workers (men and women) who had never assembled cameras before, in a factory that never had produced a 35mm camera before, teaching each other how to assemble Nikon One cameras "on the job" knowing that their jobs along with the future of the company rested in their hands. Think about that a moment. It must have been a pretty daunting task. 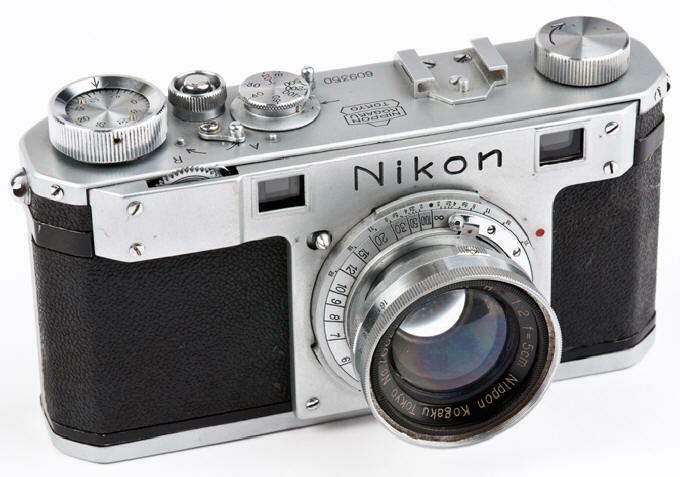 The Nikon One was designed in 1946 and first sold in 1949. Japan had just lost WWII was occupied by the US Army under General MacArthur's command. Most of Japan's major cities were burned out shells from B-29 bombings. The average worker would have been happy to have any job at all to put food on the table, only to go home to a house without electricity or running water. These were the men and women who assembled the Nikon One. They cared nothing about collectibles or the history of Nikon. They simply wanted to finish the job at hand well enough to get the next pay check and survive another day. In the beginning of Nikon One production, perhaps for as many of the first 100 cameras, the major parts were numbered by hand. Presumably this process helped not only in the better assembly of the cameras, but also worker training. Parts often did not fit together all that well. Everything had to be hand fitted and adjusted. Workers did not want to spend hours on fitting parts on a camera body and then to return the next day unsure of camera they were working on. While learning their task is it likely these new assemblers would number the camera parts they were working on so they would again work on the same unfinished camera the next day? As the production parts sometimes fit well and sometimes not, does it sound likely that parts would be numbered by the individual assembler and some parts would not as they saw fit? Since the first camera was number 60901, does it make sense that the cameras in production were also numbered sequentially to match the last two numbers of the serial number? 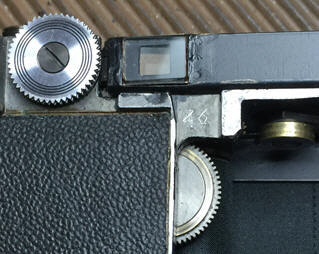 We know from former Nikon employees that the top plates were often hard to fit properly. 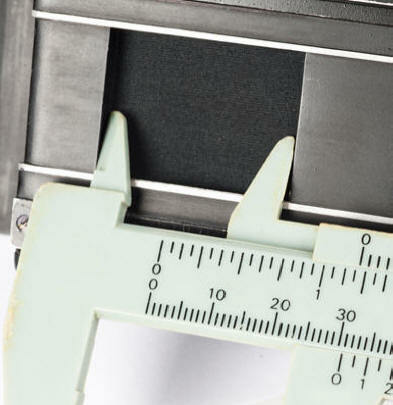 Since the top plates had to be engraved in advance of assembly, does it make sense that if a top plate 60923 did not fit camera 60923, that top plate 60952 would be used instead because it DID fit properly? 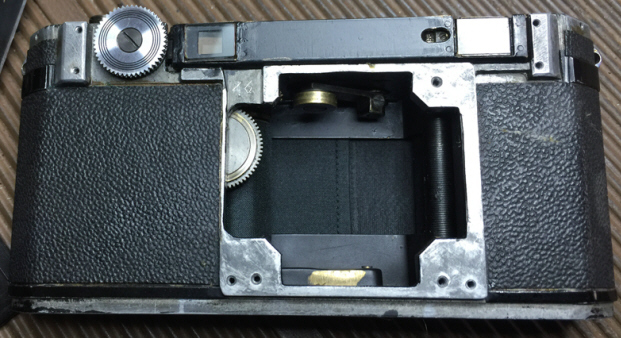 Thus camera body 23, the 3 production camera, was fitted with top plate 52 or 60952. 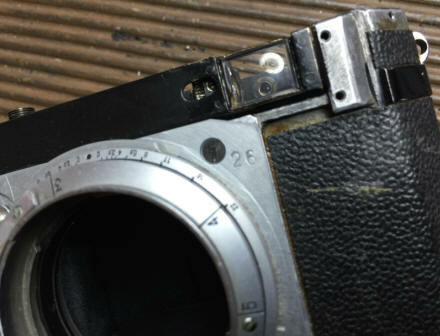 What is the real camera production number if top plate # 52 is placed on camera body 23? Or if top plate 350 is fitted on camera body 26? Or should the camera be known by both numbers? For best accuracy, I think both numbers should be used. 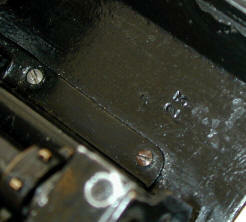 So far we have found no top plate serial number agreeing with the interior numbers - but they might exist. Apparently matching body production number and the top plate number was not considered important - only getting the top plate to fit a body was important. Nikon history tells us that the first Nikon 60901 was never completed. Completed meant passing quality control and sold. Yet is quite possible parts from Nikon 60901 reside today undiscovered, under a later top plate (s)! Some of 60901's parts may yet be found in other later cameras - not necessary all together in the same camera! Many of the first Nikon One's did not pass quality control and were disassembled. This includes the first 20 prototype cameras, 60901 to 60920. Additionally about 200 of the 749 Nikon One's were converted to Nikon M's. Nikon One 60952 (the top plate indicating the 52nd Nikon or 32nd production Nikon) is built with five numbered 23 parts - which seems to indicate the 23rd overall camera or the 3rd production camera! Top plate 609350 tells a much different story of the 26th camera failing quality control only to be later completed as 609350. Beneath 609350's top plate are 3 of number 26's parts re-used later with parts from camera 93 and 99 and finally completed and sold with top plate 609350. Nikon One numbered parts have been found in a Nikon M, and might exist inside a Nikon S as well! Most of the parts between the Nikon One, Nikon M, Nikon M synced and Nikon S are interchangeable. The factory even considered all four models the same camera, making no distinction! With internal numbers seemingly arbitrarily placed on different parts, I find it more and more likely workers had the discretion to number internal parts as needed to help them with parts fitting and final camera assembly. On early Nikon One's some internal parts were numbered, some were not. Which parts were numbered varies from camera to camera - perhaps as needed by the individual camera assembler. 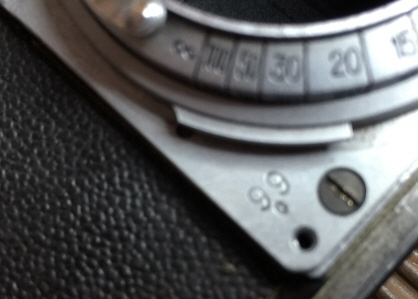 The two digit internal numbers for the early Nikon Ones seem to be replaced later in M production by a capital letter followed by a two digit number. Still, apparent rejected Nikon One parts can be intermixed with M parts. Resources were difficult to obtain in war devastated 1948 Tokyo and very expensive - far too expensive and hard to come by to throw away! Rejected Nikon One cameras were salvaged and used for parts as needed to produce more cameras. Sometimes only one rejected part would make it into a new camera, like a part numbered 14 being used on Nikon M # 609857. Sometimes parts from 3 different cameras would be used to make a new camera, like the parts from cameras 26, 93 and 99 used in camera 609350. If you are Nikon Nerd this is about the most exciting news possible, since so few of the Nikon Ones, M's and S's have been disassembled and examined for earlier Nikon One parts. Very few Nikon owners have never inside their cameras looked for the hidden Nikon One history waiting to be discovered! Nikon Ones Verified with detachable Take Up Spools by Bob Rotoloni. Nikon One research is in such a stage of infancy that little attention has been paid to which cameras have removable take up spools. I expect this list to be quickly expanded. Yet, what does this list mean? Were workers just sloppy in assembling which cameras had removable take up spools, or are later cameras with removable spools a sure indication of a reused early Nikon One body? Personally, I believe the later. "Besides numbers inside or out (which we know NK never gave much attention to!) might not be the best way to date a Nikon One. 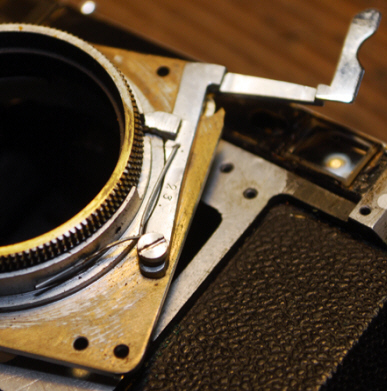 Maybe putting things like focusing mounts, depth of field scales, internal finish & fit, shape of things like the film chambers, visible controls for the shutter, underside of both the front and top plates, etc, would be a better way. However, this would require the disassembly of multiple cameras and either bringing them together on one table or taking MATCHING photos by various people to see the progression. Also. modified cameras would throw everything off. 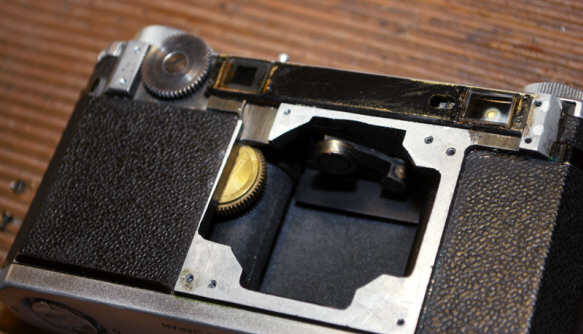 I have seen early camera with obvious updated focal plane/guide rail plates. Easy to do, just 4 screws! Front plates could have been damaged and replaced as well as top plates to say nothing of the vulnerable base plates. Wow, I think I am going to lose sleep over this!" "I still feel it is possible that those casting numbers such as 23 and 26 could represent the assembler's number....or...the number of the worker or lathe that made that part down on the first floor...or...??? #26 on my 609171 in on both the lens mount & the inside of the front plate. My focusing mount on 171 does not look early enough to have been on #26. But the kicker is...my front plate has #26 but ONLY 6 SCREW HOLES! If it had originally been meant and tried on casting #26 or body 60926 it WOULD HAVE HAD 8 SCREW HOLES! It cannot be the plate that was meant for that early body." Maybe, maybe not. The extra two screw holes may have been plugged and plated over. The extra number tag plates inside the top plate and face plate of 609350 show no indication of existing from the outside. 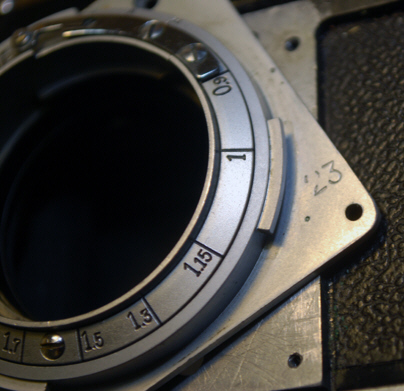 The problem so far with internal numbers indicating a source or a particular assembler is that so few cameras have the same internal number. If the numbers indicated a particular source or particular assembler, wouldn't it be likely that we would see more cameras having the same internal numbers? Of course another possibility is that the internal numbers indicate an unknown combination of production numbers, assembler numbers, and source numbers! We simply don't know yet or have enough data to be reasonably sure. We are guessing in the dark without a flashlight until such time as we have a LOT more Nikon One data! "27" inside front name plate stamped in. "592' focusing helical mounting plate..1 o clock hand inscribed 4 o clock "z"
"20" inside front name plate..
"F11" infinity lock lever rear surface. "H13" inside the top plate "
How to Check for Internal Part Numbers? or losing a screw or other tiny part with a DIYS disassembly is not a place you want to visit! How long was Nikon using recycled parts from rejected Nikon One bodies in later Nikon One, Nikon M, and possibly even Nikon S cameras? [email protected] and [email protected] and [email protected] so your input can posted and shared on this page. Many thanks to Bob Rotoloni and Chris Sap for generously sharing their help and research for this page. The guesses and speculation on this page will over time be updated and less speculative as more Nikon One research becomes available. Nikon 60952 - the 3rd production Nikon body with the 32nd production Nikon top plate? Revised: September 12, 2017 . Copyright © 2016 Stephen Gandy. All rights reserved. This means you may NOT copy and re-use the text or the pictures in ANY other internet or printed publication of ANY kind. Information in this document is subject to change without notice. Other products and companies referred to herein are trademarks or registered trademarks of their respective companies or mark holders.